Give your little explorer something to sing about. 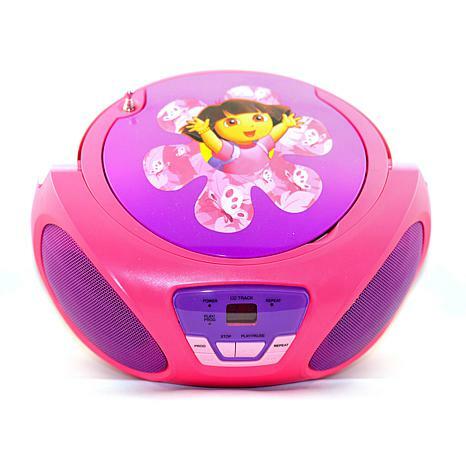 This adorable Dora the Explorer boombox includes a built-in CD player and AM/FM radio. And since it has the option of adding batteries, the boombox is completely portable so she can take her favorite music with her anywhere.